Ooh I do love it when two of our amazing brands collaborate! 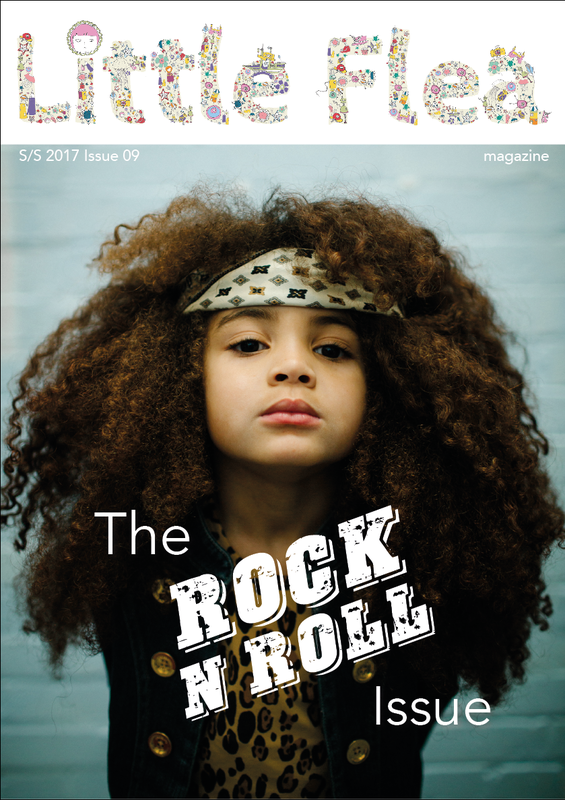 The wonderful design duo Sas and Yosh have got together with gorgeous accessories brand, Rockahula kids to create some stunning imagery of their collections. Set on a background of Sas & Yosh wallpaper, Rockahula's products stand out beautifully complimenting each other perfectly. This beautiful hand designed illustrative wallpaper is exclusively designed by 'Sas and Yosh' and is digitally printed on non woven matt paper. The talented pair also sell textiles, gift paper and stationery. 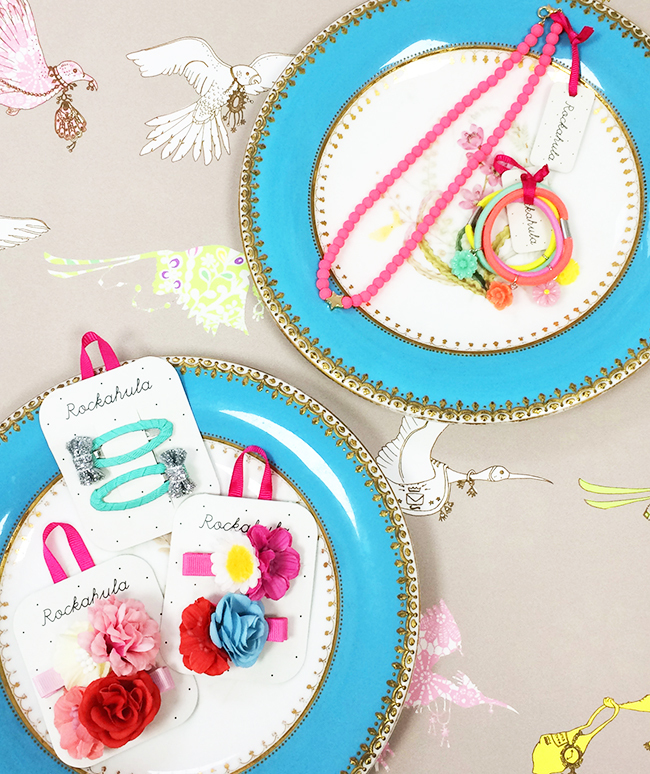 Rockahula Kids is a boutique accessories brand for kids selling gorgeous hair accessories, jewellery and bags. All are exceptionally made and of the highest quality in quirky and playful designs. Scroll down for more images and prices. Sas & Yosh 'Flying Journey' Wallpaper £70 per roll. Rockahula accessories: Glitter clips £5.00, flower clips £6.00, Star necklace £7.00, Flower ponies £5.00. Sas & Yosh 'Gorgeous Flower Girls' wallpaper £70 per roll. Rockahula 'Frida flower necklace £7.00. Sas & Yosh 'Flying Journey' Wallpaper £70 per roll. Rockahula accessories: Ruffle flower bracelet (on squirrels tail) £5.00, Stripy bracelet set, star bracelet set, Frida flower bracelet set, stripy bow clips, ruffle clips all £6.00 each. 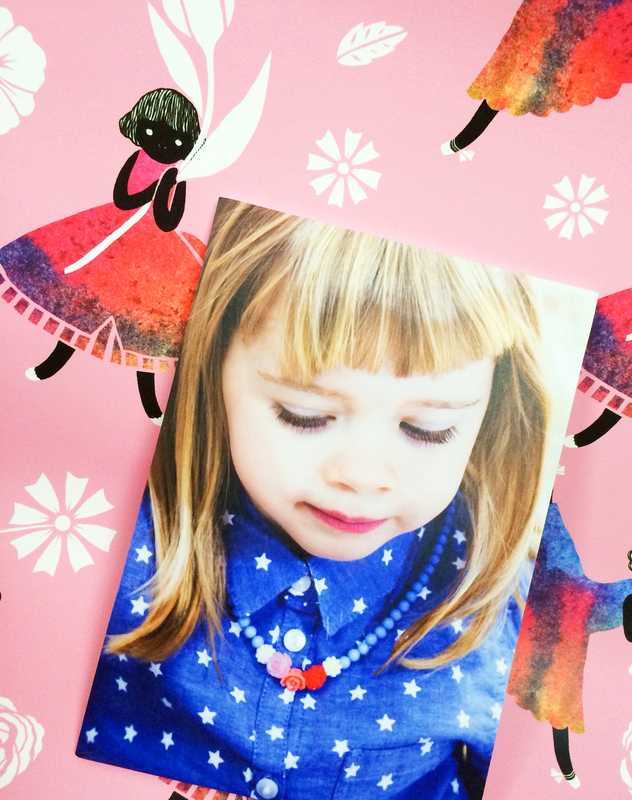 Sas & Yosh 'Gorgeous Flower Girls' Wallpaper £70 per roll. Rockahula bags £16 each. For more information visit Sas & Yosh and Rockahula Kids.